You have probably heard by now about honey cinnamon cures, which are suppose to be an instant, universal cure for wide amount of serious illnesses and medical conditions,ranging from diabetes and kidney problems to cancer. 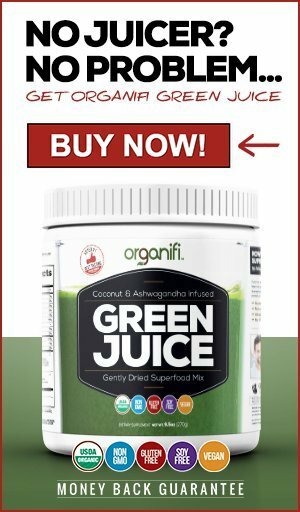 This article examines if there is any truth to these claims or if it’s an elaborate alternative health industry scam. Lets first examine what exactly makes this natural remedy so effective, that it’s supposedly able to cure many serious illnesses, what does it consist of and how is it used. Honey, also known as liquid gold, is produced by the bees by ingesting nectar from flowers and trees and processing it into honey by processing it through their bodies. It has many amazing abilities, due to its anti-bacterial, anti-viral and anti-fungal properties it can be used to cure many illnesses. It’s also a rich source of anti-oxidants helping to prevent cancer and Phytonutrients give it strong anti-inflammatory benefits. It’s also pro-biotic, promoting healthy body flora. 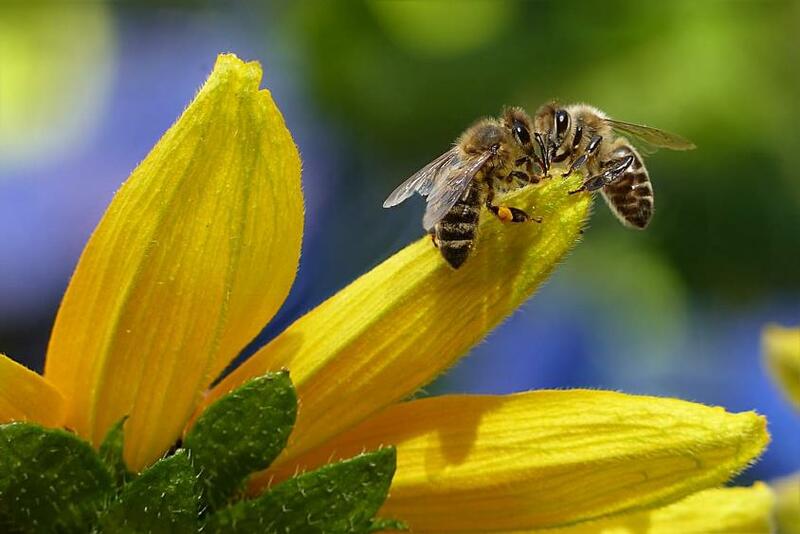 The specific abilities of the honey depend on the flowers that the bees who produce it feed on. Most effective ones being Manuka and Buckwheat honey. Additionally raw honey, separated from honey cones by centrifuge, has more phytonutrients and pro-biotics than honey that has been extracted by heat. Impressive list right? There are many studies into the healing properties of honey. Most clear evidence is in its beneficial properties in treating wounds. Mayo clinic however states that results in using honey for medical purposes are inconclusive, which in itself is no surprise, since they are not strong supporters of alternative medicine. However when talking about hone, please understand that the health benefits are only traceable to raw organic honey, which is rich in pollen and because it has not been heated during the process of separating it from the honey cones, contains small amounts of beeswax! Besides, make sure that you purchase locally produced honey if possible? Why you might ask? Two reason, to avoid excess CO2 emissions for transport and simply because lot of the honey sold in the supermarkets has in fact not much to do with natural product! China has been running a scam for ages now, making fake honey of high fructose corn syrup. 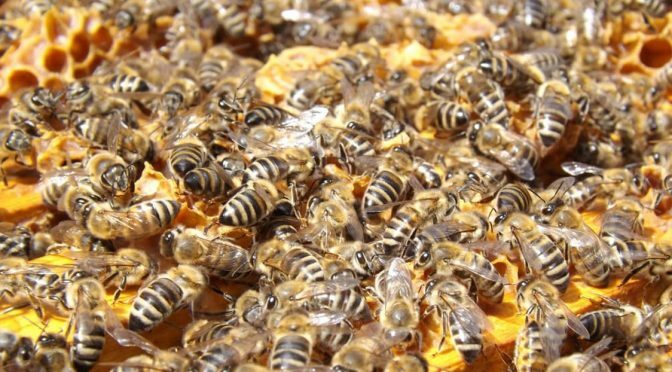 Since the scam was discovered and the import of honey from China banned, they simply shipped it to India, where it was mixed with high pollen content honey and then shipped further to US and Europe. Unfortunately this has given Indian honey a bad reputation and I personally avoid it at any cost, as it also has large quantities of antibiotics. Even local honey that is being heated and filtered in the production or pasteurization process is not anywhere near as healthy as organic honey as many enzymes die due to heat and pollen gets removed by the filtering. How ever above is an example of two types of honey which are both raw, local produce. 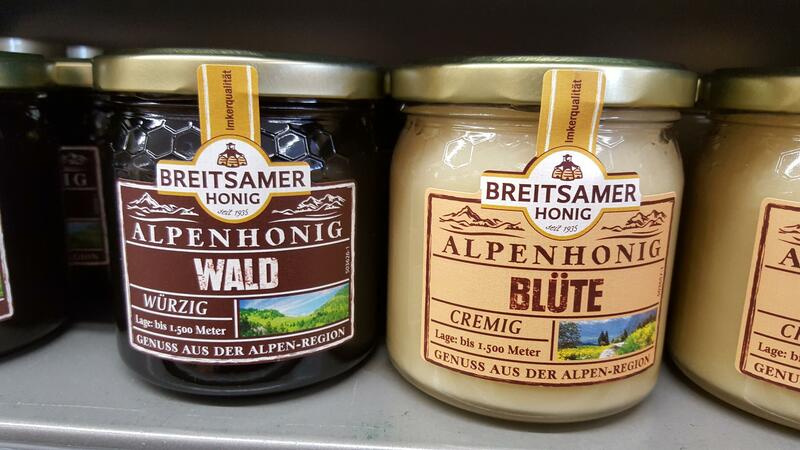 One is made by bees that feed on the nectar of alp flowers, the second is produced by the bees feasting on alpine forest flowers. The forest variety is much darker in color and taste! It takes forever to set, but is for sure raw pressed biological variety. The flower variety sets almost instantly and is much milder. So, can one recognize raw honey from processed? Not always so easily, but often the more ‘golden’ the color, the more dead the honey is. Raw honey also tends to set more easily than processed honey, but is liquid when it’s first harvested. My own usage of honey is one teaspoon of raw Manuka or eucalyptus honey in the morning and in the evening, every non fasting day. It helps to keep me safe from infections of throat and airways most of the time and improves my immune system in general. I also ofter use it home to treat wounds or burns, it definitely makes them heal much faster and scaring is much less frequent. I also love to rub honey on my skin in sauna, it leaves my skin wonderfully soft. Cinnamon is harvested from the inner bark of Cinnamomum tree, native to Sri Lanka, Burma, India and Bangladesh. Besides from the inner bark, also flowers are dried and used. 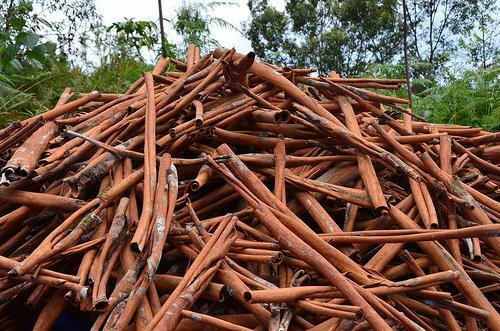 Several different cultivars are used to produce cinnamon commercially additionally in China, Vietnam, Indonesia, Brazil, Caribean, Egypt, and in the old Indian trade partners Seychelles and Madagascar, where it was brought by the Parsi settlers. The best quality cinnamon is grown in Sri Lanka or Ceylon, it can be recognized by its lighter yellowish brown color, thin layered appearance and highly fragrant aroma. Cassia, also called the Chinese cinnamon, is different subspecies and is the most commercially used cinnamon spice. It’s much darker in color, thicker and woody in its structure. It is favored due to its cheaper price, which is due to the fact that all the layers of the bark are used. It is also more heat resistant than Ceylon varieties and therefore used in baked goods. Heat releases its trademark sweet tangy aroma. Besides from cooking, cinnamon has a long list of medicinal uses. The active ingredient in cinnamon is called coumarin, which is less prominent in the Ceylon varieties. It has strong blood thinning properties. 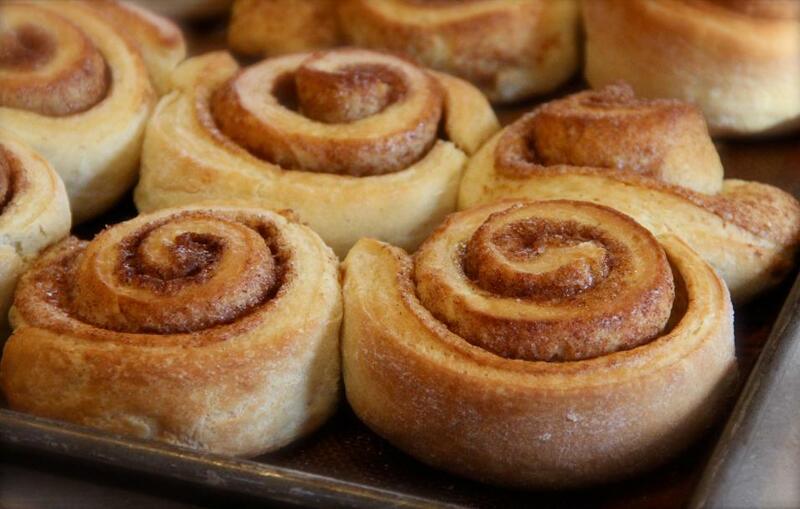 Its flavor is due to the essential oil, which consists of 1% of the cinnamon spice. Other ingredients include Cinnamaldehydes, responsible for its aroma, tannins, terpenoids and flavonoids are also present. Additionally MethylHydroxyChalcone polymers (MHCPs) give cinnamon its abilities to increase body’s insulin sensitivity. Cinnamon is also anti-inflammatory, contains plenty of antioxidants, and produces antimicrobial activity. 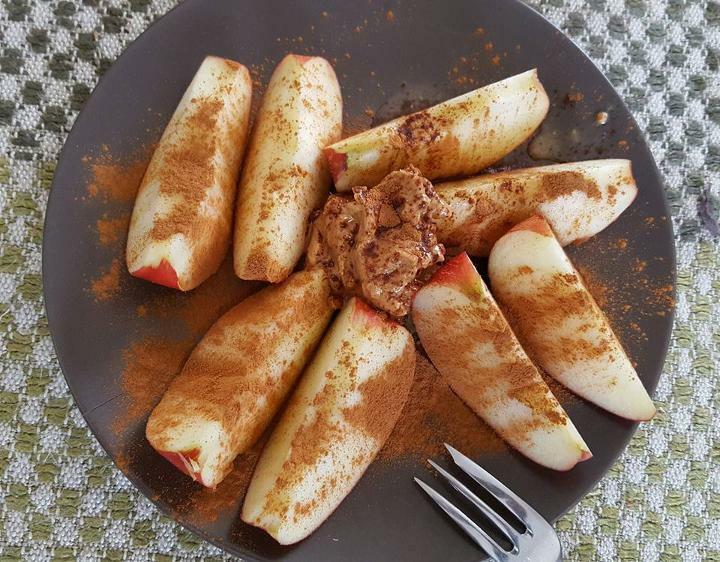 I personally use cinnamon by sprinkling on top of food, such as my favorite snack: Apples slices with cinnamon and cashew nut butter. I also use to flavor food and it’s one of the ingredients of my favorite tea. Take a look at my apple and cinnamon infused water recipe! I ensure to get my daily dose, 1 heaped tea spoon of organic Ceylon cinnamon, in order to control my blood sugar and it has helped to lower my fasting blood sugar levels dramatically. Additionally I take it in higher dose for stomach upsets, infections or flu. I also often use cinnamon essential oil in a diffuser, to produce a pleasant, mood lifting aroma to the house. I also inhale the vapor if I happen to catch a throat or an airways infection. 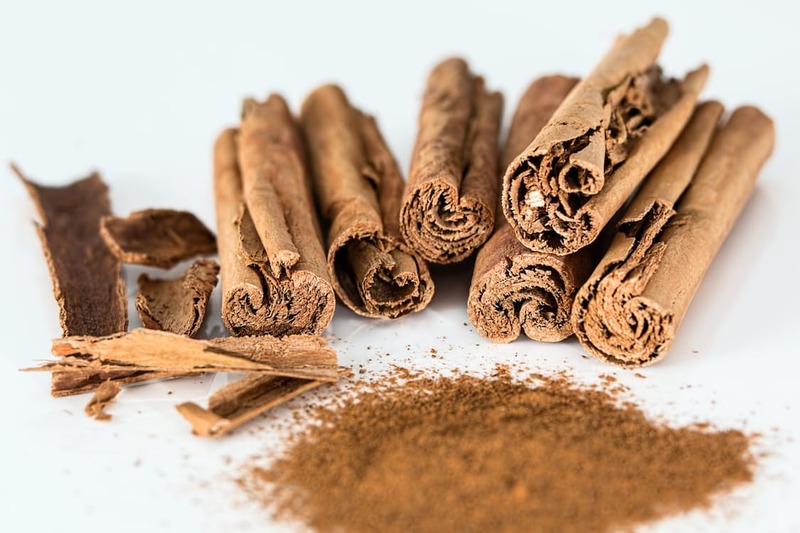 Some people remain skeptical about the usage of cinnamon for lowering fasting blood sugar levels, stating they didn’t achieve any results in their own trials. Most common reason for this is, that they didn’t actually use Ceylon cinnamon, but either the Cassia variety or even just fake product, consisting of sawdust with cinnamon oil flavoring, which has penetrated the markets the recent years! As the name states, we are talking about a cure with two active ingredients, honey and Ceylon cinnamon. It can be prepares in several different ways. Most advocate heating up the honey and either adding the ground cinnamon to it or infusing couple of cinnamon sticks in it overnight. However, some practitioners, like me believe the honey is best when it’s kept raw, as it will retain most it’s healing properties this way. What would be the point of buying raw honey and then heating it up? In the raw honey method, the ground cinnamon is simply mixed into honey. Since a lot of the usages for these two remedies overlap, it is only logical that they were combined in one remedy. Cinnamon honey cures were commonly described in Vegas and used in Ayurvedic medicine for thousands of years. 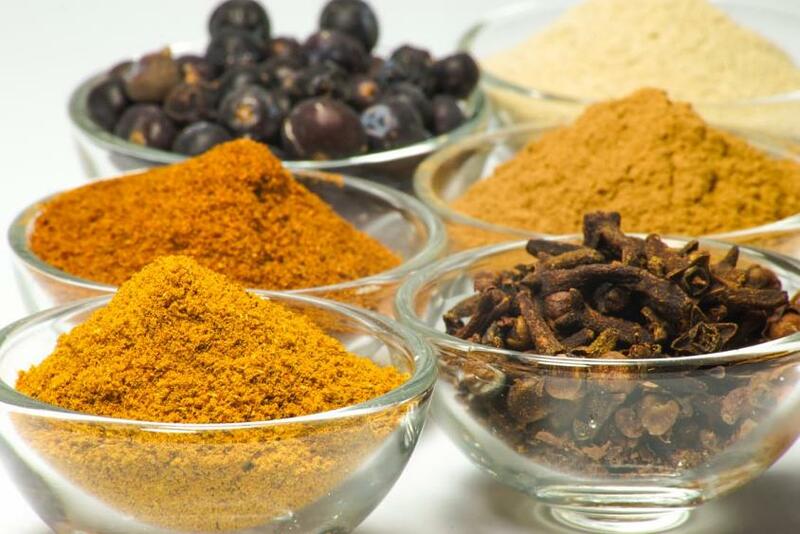 Traditional Chinese medicine as well as ancient Egyptian medicine records echo the same usages for this popular spice. It is claimed to be a cure all, for treating cancer and diabetes, restoring kidney functions and lowering cholesterol with just few doses. Besides from the lack of any supporting medical evidence, anyone suffering from these conditions can testify that this is utter nonsense. However on the long term this remedy, when constructed from the correct ingredients, has quite remarkable benefits. It has been shown that this is a potent remedy to fight against infections and improve the overall immune system functions. 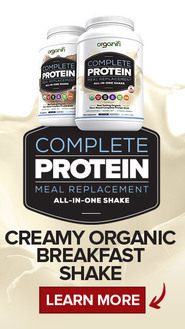 This makes it a favorite of many cancer patients and other people with weakened immune system. So is there a big pharma cover up against cinnamon honey cures? I don’t personally think so, even though I am no way in favor for using crude and chemical western medicine methods for curing serious illnesses. I simply think there are yet many studies and clinical trials to be made into this miracle cure. Further more like always with a natural remedy being hyped, more studies into the medicinal usages or this compound are bound to pop up the next years. So if its not a cure for all, is cinnamon honey at least beneficial? Absolutely! As mentioned above, I use this myself daily and seen it’s effects with curing stomach upsets, flus and infections, helping regulating blood sugar levels, improving the immune system, reducing stress and loosing weight. You might also wonder if you need to mix these two properties in order to receive the benefits. The answer is no. There is no magical process that takes place when you combine these two ingredients. Take the separate or mixed together depending your preferences, both will result in same benefits! Previous PostWhat Is Christmas Spirit AboutNext PostWhy Make New Years Resolutions We Can’t Keep? Yes, this remedy can also be used for astma or blocked airways, taken of course into consideration any pollen allergies! Awesome information. I always use honey in my tea when I have a cold and it helps to cure it much better than all sort of flu remedies bought from the pharmacy. I didn’t realise cinnamon has such wonderful effects on the body, I will give it a go. Hi Cathie, good to hear that you have experienced the healing properties of honey, it indeed works much better than chemical laden powder flu remedies that you mix with hot water! Cinnamon has many wonderful properties as well, you only need to ensure that the cinnamon you use comes from Ceylon. This looks like a really good remedy for a lot of things. I am someone who’s struggling with diabetes type 2 and will try this out. Do you have any other tips? suggest to my friends who also have diabetes. I’m confident they’ll be benefited from this web site and all the other tips you have. Do you have more information about ayurvedic cures for diabetes type 2? I am planning on writing an article about this topic specifically soon. I will inform you when the article is ready. Omg, I never buying supermarket honey again. I never knew that the honey from China is probably fake. It seems China all they make is low quality products from honey to steel beams. China integrity is ZERO. Bees are really cool! Imagine the process that the nectar goes through when they produce honey by digesting it. Cinnamon is also an amazing plant with so many benefits! This is why honey cinnamon cures are simply so awesome! Awesome case study! I never knew there were so many benefits to eating honey in raw form! I also was unaware that HFC was being used to create honey, but that doesn’t surprise because I see that in a lot of condiments and other products being labeled as “Organic” yet have HFC. Great work! Could a bee decline be the reason for using artificial sweeteners or are they just being cheap? Hi Erich! I am happy you learned something from my article. Yes, there are definitely loads of health benefits for eating raw honey. I am aware that the labelling laws in some countries are completely crazy pretty much allowing for anything, leaving the consumer completely unprotected! I don’t personally believe artificial sweeteners play a part. I rather think it depends on environment poisons and the usage of fertilizers pesto and fungicides, which bees consume. This is just what I need right now! I have had a sinus infection for the last two days and have been drinking lots and lots of tea, but I have been using Agave as my sweetener. Usually I use honey, but I am out, so I’m making my husband run to the store to get me some now, lol! I knew about the great healing properties of honey but cinnamon?! I had no clue! Looks like I’ll be making myself some honey cinnamon tea tonight 😉 Thanks for this great article, it has helped me so much! Honey is very good when you are struggling with flu! Just make sure you use organic and raw variety, as it has a lot of pollen, which will help your immune system to fight the flu. Organic Ceylon cinnamon has amazing health benefits, it will also taste great in your tea. I hope you get better soon! Hi Raffe, nice to hear you liked my article and it gave you into some insights for your wife’s preferences! I have update the article to write more about the issue or liquid and set honey. I absolutely love cinnamon and honey both! I can believe the long lists on each of these on which to help with symptoms or illnesses. I also didn’t know that the honey varies in taste by which plant the bees feed on. That’s pretty amazing that flavor can be organically produced like that. In the states, we have lots of pumpkin farms and we were visiting a one on a field trip for my daughter and they were explaining the pollination process and how we couldn’t have pumpkins without bees to transfer the pollen from the male flower to the bud of the female flower. Without the bees, farmers would have to hand pollinate every female flower just to get our pumpkins. Hi David, I am happy to hear you are one of the honey lovers! It really has such beneficial properties and can help to cure so many problems. The taste of the honey and even its aroma depend greatly on the kind of plants that bees collect the nectar and pollen from, there are even honey tasting competitions! I am not so good in setting them apart, but can recognise eucalyptus, manuka and chestnut, the ones I mostly use! I am inspiring of getting my own bee hives in the near future! Bees don’t only make honey, they are extremely important, to produce pumpkins, fruit and any other flowers! It is a huge concerns of mine that bees are dying out due to use of poisons, thank you for highlighting this! I’m pretty chuffed to read about the anti-bacterial, anti-viral and anti-fungal properties of honey in this article due to my toddler son. He seems to have moved into an addiction of wholegrain pitta breads (toasted) with honey inside them – we don’t allow him to eat sweets so this is the closest he gets. Thanks for this article – really interesting read! Hi Chris! Thank you for your very honest comment! It’s a really great feeling when you discover you are doing something right instinctively! You are right, honey is really good for kids, although you need to be careful with really young ones in case of pollen allergy. Unfortunately you can still get organic honey that has been heated in order to pasteurise it, for maximum benefits, look for raw alternatives! Great information and a very interesting read. I was aware of some of the benefits of cinnamon and honey but certainly not all of them! It’s interesting that Mayo clinic doesn’t recognise the healing properties. Why do you think this is? You said that there in no pharma cover up but why wouldn’t they recognise cinnamon or honey for some of the cures or remedies? I’m always wary of these big pharma companies. After all, they have to answer to their shareholders. I remember reading about how Type 2 diabetes can be cured with fasting and dietary methods especially related to eating at certain times of the day. Of course, this wasn’t recognised by Doctors. It certainly makes you wonder. Hi Craig! Nice to hear from you again. I am happy you learned something new from my article. Mayo clinic is particularly difficult to convince of some alternative methods, they only base themselves on large scale studies, which are notoriously difficult to fund for alternative healing methods! Just them giving C to benefits of honey already indicates it should be taken seriously. When I say there is no big pharma cover up, I mean that even though Honey Cinnamon cures are very effective, they are not a magically potion that will cure all the illnesses on the spot, like some articles floating around on the Internet claim! I absolutely hate big pharma, so I do believe they tend to either ignore or discredit alternative medicine in general, definitely with things such as diabetes and cancer. I just don’t believe it is so in this particular case, since this is not an universal cure all remedy. Yes it wasn’t my intention to recognize it as a miracle cure but if they have given it C then fair play. I just feel that the big pharma companies get scared when it comes to natural products, since they are obviously not harnessing it. Anyway, thanks for another article with great info. This is very true! Big pharma definitely is constantly undermining the alternative cures and ensuring they have very little funding available for the ‘official medical proof’ that is required for the mainstream to start believing in alternative treatments! You have almost covered all the medicinal benefits of honey, and this remedy actually works wonder. I used honey on my face and it lightens up my skin in no time. Hi Harsh! I am happy to hear you have found this remedy useful 🙂 I know that honey has a lot of benefits for skin, but none of my clients have even asked for lighter skin tone, so I haven’t researched that specially. I do however use honey to treat both psoriasis and eczema. Hi Hanna! I simply love this post. Well written and researched as always, you are an amazing source of information about natural healing. Even though I’m aware of your amazing Honey & Cinnamon cures, I didn’t know how many uses this remedy has. Hi Julie, I am happy you found my post about honey cinnamon cures useful! This is my favorite remedy for many illnesses and it has such a wonderful effect on over all health! I had no idea that honey or cinnamon were a help in curing so many things. But now that I think about it – i had this wicked cough inBali earlier this month and I couldnt even sleep it was so bad. After I started having honey it cleared right up! I wonder if there is a correlation. Honey and cinnamon cures are becoming very popular recently and with a good reason. There is absolutely a correlation, you can be sure of that. 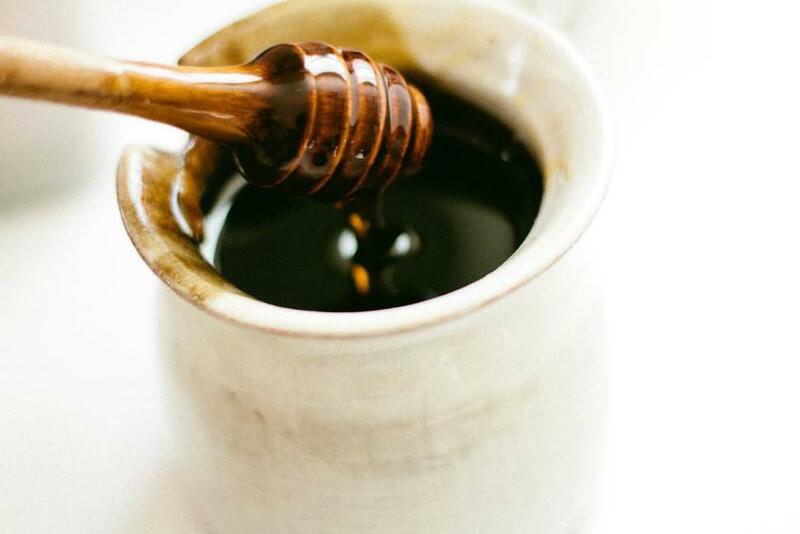 Honey is an amazing caught suppressant and it also clears the airways and the mouth from the infections, which are causing the cough in the first place! Hi Foggie! Thank you 🙂 Yes, you can be lucky to find it in bio stores, however easiest way to find it is to go online on Amazon and type Organic Ceylon cinnamon. Look for words ‘organic’ ‘certified Ceylon’ and if you like to support fair farming practices, then there are several fair trade options too! You cannot find proper cinnamon in normal supermarkets, it’s always the cheaper variety. Cinnamon fits perfectly in tea, in fact one of my favorites teas is ‘Indian Classic Chai’ with spices such as cinnamon, cardamom, ginger, glove and black pepper! Hi Foggie, it’s processed unfortunately…most likely one of these squeezable bottles right? Those are practical yes, but infact worst in quality. Acacia is good if you buy raw honey. I like Eucalyptus and Manuka myself 🙂 Just make sure certified organic and if possible local. I especially never buy Asian honey anymore. this is amazing; I, glad there is people sharing things like this on the internet, actually helpful and important to know. 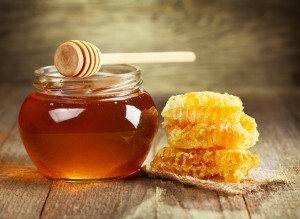 Honey has so many healing properties is really awesome for our health. Hi JK, I am happy you enjoyed my article, thank you for your comment 🙂 Raw organic honey is really good for your health. Combined with cinnamon it i a really amazingly potent promoting good health! I believe everyone can benefit from honey cinnamon cures! Thank you very much for this article. I love bees (when they don’t bite me), but I haven’t known so many things about honey so far. The information from this post it has so much value. Hi Luliana! You are very welcome, I am happy my article has thought you something new. Bees don’t actually sting unless if you bother them! Most people are really afraid of them and panic, which causes the bees to feel threatened, in which case they do sting. Either that, or they mistake the more aggressive wasps for the gentle bees. 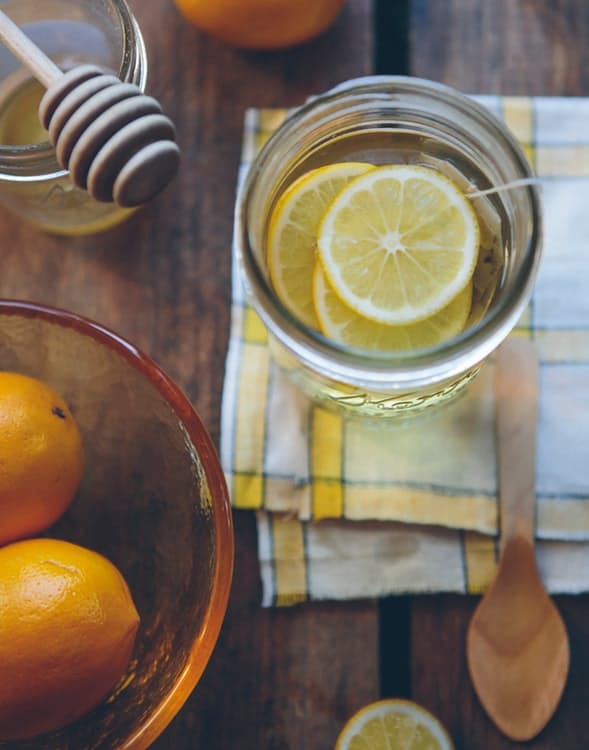 What a lovely post on honey cinnamon cures. I really enjoyed reading it, it was so detailed and well explained. I WAS aware that honey had a great role to play in health and well-being but, I was NOT aware of just how many benefits there were to eating it. Hi Simon 🙂 Thank you for your comment! I am happy you found value in my article. I am sure most people are aware that honey is good for us, but not of it’s many uses. Especially when combined with cinnamon, we have a really great cure for many minor health issues. Besides that it promotes general health, as it strengthens our immune system and therefore honey cinnamon cures are beneficial in a fights against many serious illnesses. Hi Denise 🙂 I am happy you found value in my article. Normally it takes some mayor health issue, before we realize we ought to do something more for our well being! Honey and cinnamon are both readily available in supermarkets, but not the right kind! You can however easily find them in bio shops or online. Amazon sells certified organic ceylon cinnamon as well as raw organic honey! There are many varieties available, I recommend Manuka honey. In my article in the cinnamon remedies section I provide a link to my favorite cinnamon at Amazon! Love this article. I never realized honey could do so much to help!! Yes, I am definitely one to try to use homeopathic cures and treatments for what ails me when I do gt sick which isn’t much. As far as ‘cover-ups’ for using natural cures, I feel that there is an ignorance due to the fact that Big pharma does not want to cure anything but only to treat to keep those funds coming in!! Great work. I look froward to your next educational post. I am happy to hear you prefer alternative cures to chemical ones! The fact you don’t get sick often just shows that you have a really strong immune system, so you must be doing something right! I agree with you about big pharma! There are so many natural cures and dietary aids, but they are being dismissed as old wife tales, as the pharmaceutical industry doesn’t benefit from them financially. I believe we should spend more resources in gathering evidence for effectiveness of natural cures! Hi Tasleem! I am happy you enjoyed my article. If she is diabetic, honey cinnamon cure is going to do wonders for stabilizing her blood sugar levels. However it is absolutely necessary to ensure she gets the correct natural ingredients and no fake products. I hear it over and over that cinnamon does nothing for helping with diabetes and every time when I ask what they are using, the answer is: I just bought it in the grocery store! Ordering certified organic raw honey and Ceylon cinnamon products online is the way the go. They are bit more expensive than the stuff you find in grocery stores, but also effective as healing and dietary aids! Hi, Thank you so much for this very interesting post, I have recently been diagnosed with type 2 diabetes and currently prescribed metformin 4 times daily, I will definatley be trying out the honey and cinnamon recipe, I also have psoriasis do you think that using honey on my skin would help. Again thank you for this useful information. Hi Kenneth! Thank you for your comment. Honey cinnamon cures do wonders for diabetes type II! I have seen a huge improvement in my fasting sugar levels within 2 months, when I started using correct organic ingredients, which I order online! Be aware of cheap supermarket varieties! I urge you to test it. Honey helps with psoriasis ans well as with eczema, both when ingested and smeared on the skin. My favorite method is going to sauna and rubbing honey on my skin and washing it afterwards! Thank you very much for this useful and informative post. Actually I had some questions and I was looking for more information about Honey Cinnamon Cures. Your post answered all my questions perfectly and made me clear about what I was looking for. Your post opened my eyes and gave me great useful information that I really didn’t know about it before. Looking forward to see more informative articles from you again soon! thank you for the roses. I am happy you enjoyed my article about the honey cinnamon cures and hope you will find other articles you enjoy on my site. You are right when it comes to information on the web, there are so much false things written every day, especially when it comes to natural healing methods! Some of it is simply created a profit in mind, others are just written by people who misunderstood things, small percentage is even malicious! These natural remedies remind me of my mother’s philosophy towards healing. She would always have me drinking some concoction with honey and herbs instead of chemicals! Nice post. Hi Kyle. Thank you for you lovely comment. Sounds like your mother agrees with me that honey is one of the best natural healers there is. It features in most of my remedies, not only the honey cinnamon cures! Hi! Amazing post! I was wondering what your opinion is of using honey on your skin. So you do this and, if so, what is it good for? Hi Stuart, thank you for your message 🙂 Yes, I use honey on wounds, makes skin heal faster and rub it on my skin in sauna, which makes it really soft and subtle!